At the close of 2015, Hog Haven Farm has 25 potbellied pigs and 1 Yorkshire pig in its care. Pigs have come and gone through our doors, and there are a number of pigs that we have offered permanent sanctuary to; we call these piggies our residents. 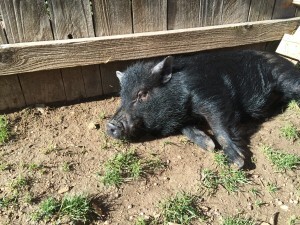 In July 2015, we received a request for a pig to be surrendered to us. He was 4 years old, 45lbs, and named Cupid. We had no idea how Cupid would melt our hearts, and were further clueless of how we would melt his. We didn’t know much about Cupid’s past 4 years; it was immediately apparent that he was skittish, afraid of other animals, and had likely been tormented by dogs. There were wounds and sores on his back from dog attacks, and his ears were scarred from the same. Additionally, he had never received a hoof trim in his 4 years, and walked as though he was wearing flippers. Hog Haven had a foster family take care of him initially, and they made sure his hooves were trimmed and shots updated by a vet before he came to our care. Cupid did not warm up to us for some time. He chose to sleep in a kennel outside for the first few weeks of bringing him in, and would run if we came too close. Erin, our very compassionate founder, was determined to charm Cupid and was relentless in her slow approach, bribery with snacks, and calming disposition. He finally started to come around, moving indoors at night but within the comfort of his kennel at all times. Around the same time we took Cupid in, we brought in another rescue pig, Lincoln. A mere 5 months old at the time, Lincoln was also determined to charm Cupid, and would boss his way into Cupid’s kennel to sleep with him. The compassion that Lincoln showed Cupid melted our hearts, and started to help warm Cupid up to everyone else at Hog Haven. In late August 2015, Hog Haven Farm relocated to Byers, CO–54 miles east of where we started. 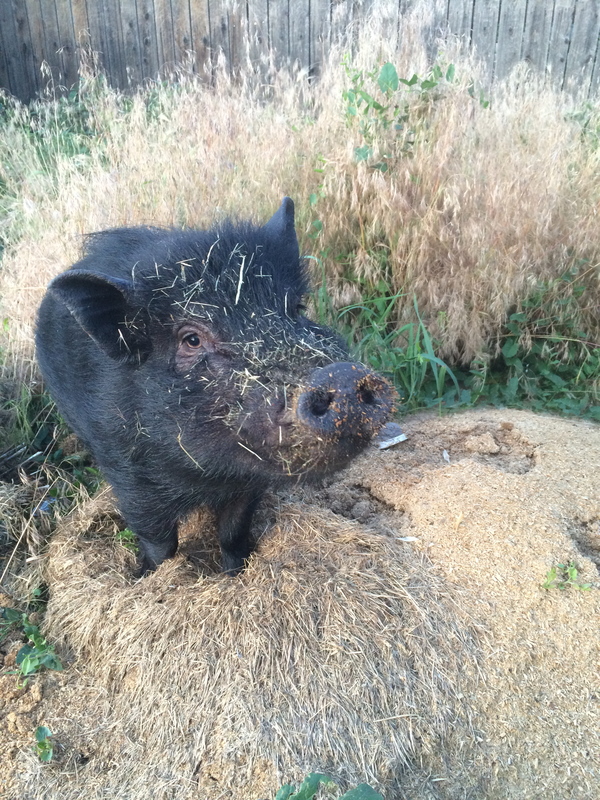 We moved 8 pigs in one evening to our new sanctuary, and Cupid really started to blossom. 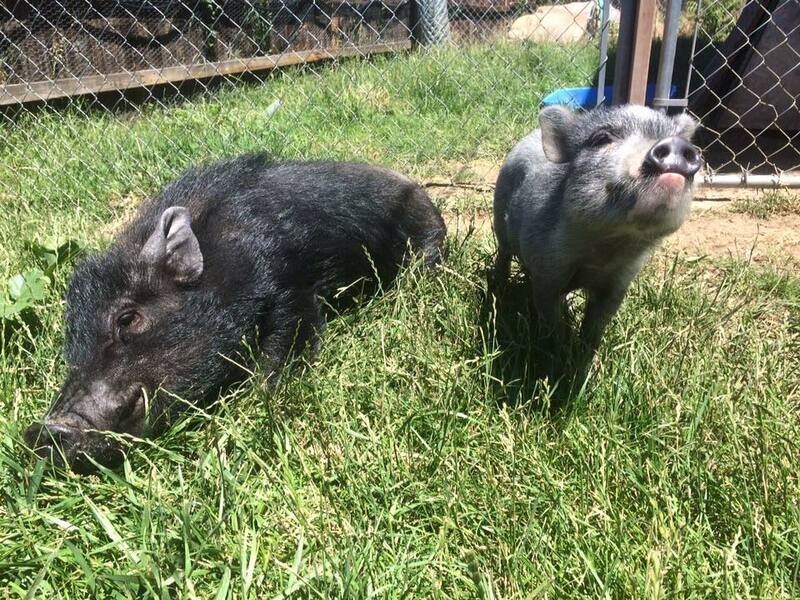 With nearly 3 acres to roam, Cupid started to come out of his shell and interact with the other pigs–but he and Lincoln shared a special bond, and still chose to snuggle up together at night. This time, Cupid broke out of the kennel routine, sleeping in blankets in the same area as the rest of the pigs. We rapidly increased our number of pigs from 8 to 15, to 20, then 26 by Christmas. No longer one to shy away, Cupid found his place with the rest of the pigs at Hog Haven. He has gradually become more social with the rest of the herd, and changes who he bunks with at night. Better yet, Cupid has become social with our visitors and volunteers, and no longer hides when people come out to see him. Watching Cupid’s development has been incredibly rewarding. From an abused and neglected, scared pig to a social, loving pet in the course of 5 months is amazing. 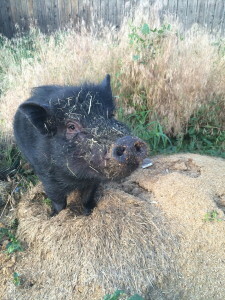 As such, Cupid is a resident pig at Hog Haven–he knows how much love there is in the sanctuary, and has a strong bond with the other residents. < Previous Potbellied pigs make Oprah Magazine Gratitude Meter!